If you’re a fan of the Hunger Games, or any best-selling book series of the last 10 years, you will be familiar with the explosion of internet fan culture. From fan sites to fan fiction, tribute videos to meta-blogs, essayistic critiques to graphics and gifs, if you’re a fan it’s all too easy to become part of the fandom! But whilst the fandom can sometimes be as trivial as it is ground-breaking, or as brainless as it is startlingly intelligent, for all its variety it has come to re-define how we interact with our favourite stories. For the first time, the internet provides a space for a kind of critical and intellectual engagement that we’ve rarely been able to achieve before. 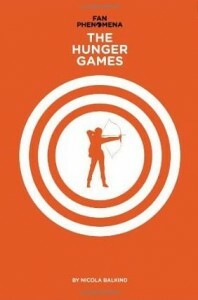 Nicola Balkind’s book, Fan Phenomena: The Hunger Games, is a monograph of essays that cover a broad range of topics to dissect the Hunger Games, and the culture of fandom surrounding it, to find out why this book series has had the huge cultural impact that it has. So here are eight reasons why you should pick up a copy! 1. It’s an introduction to fan culture. Too often “fandom” gets branded as a place where the crazies live, but that undermines just how smart and passionate these fans can be. This book is structured around the main themes and criticisms of the Hunger Games series and, as such, provides an insight into the primary concerns of fan culture. The much-hyped love triangle – that the media rarely stops talking about – takes a back seat to the true interests of engaged fans: issues of war, violence, morality, power, identity, gender, race, and so much more. For anyone interested in reading the Hunger Games on a more literary and critical level, this book provides a refreshingly concise starting point. 2. It has fans, critical thinking, and further reading! The author doesn’t just put her own spin on the topics at hand, she also makes space for fans to have their say. 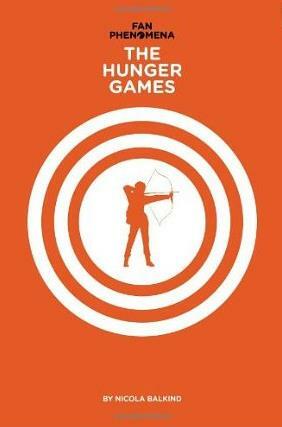 The book is peppered with contributions from people who are actively engaged in the Hunger Games fandom – from podcasters to authors to journalists – and provides an interesting list of resources at the end of each chapter and discussion to help find further reading on the topics that have interested the reader most. If you’re a critical fan, this is a great way to broaden your interpretation of the books. The central themes of the Hunger Games are issues of violence, war, and control under a totalitarian ruler. The way violence is depicted in the text is not merely a philosophical exploration of war, morality, and more, but it also holds up a mirror to reflect our own society’s handling of war and power back at us. Balkind opens with a chapter stuffed to bursting with succinct overviews of the main issues surrounding the portrayal of violence in the books, as well as an interesting comparison to the failings of the films. The Hunger Games, for all their violence and brutality, are really a form of propaganda and the way that the Capitol controls the populace through media is another dark mirror reflecting back on us. Balkind includes a chapter to dissect this, but most interestingly of all discusses how the films and the publicity of the books have disturbing parallels to the “propos” of the books. This is a chapter the more cynically-minded will relish and the further reading provides an extra treat! One of the biggest concerns of Hunger Games fans is the topic of gender. Suzanne Collins’s female protagonist, Katniss Everdeen, breaks many moulds and defies traditional feminine archetypes. She is strong and vulnerable, fiercely clever and yet out of her depth, kind but violent, and her story is defined by familial love and the urge to survive. Whilst this has been pleasing for people interested in humanist or feminist portrayals of women, and people interested in fairer representation generally, there are issues surrounding the construct of gender in the story. Balkind offers an introduction to many of the virtues of Collins’s gender portrayals, as well as some of the arguments from her detractors. Perhaps the most hotly-argued and intriguing area of fan discussion is Collins’s portrayal of race and, especially, how this changed in the films. Racism, white-washing, and much more is discussed in this chapter and the further reading section provides a list of online resources that are truly testament to just how big an impact fan blogs have. Collins’s portrayal of race is complex and often purposefully dubious. The segregation of District 11, for example, is hinted at but never truly explored. Katniss herself is described as having dark skin and hair. But Hollywood, reader interpretations, and wider culture have thrown up issues about the representations of race. This chapter provides a valuable insight in to the problems of race representation and is a must-read for fans who haven’t encountered these issues before. Fans don’t simply respond to these books by writing essays, sharing knowledge, and asking questions, they are also having an impact in how the world is changing. Social and political activism are just two areas that have been influenced by Hunger Games fans, whose rejection of institutionalised poverty and inequality is partly fuelled by their response to these books. Balkind pulls together a huge and diverse range of projects and campaigns that have been influenced by the message of the Hunger Games, as well as some further resources. When Mockingjay was released, hundreds of versions of ‘The Hanging Tree’ – the song Katniss sings in the book – were quickly uploaded to sites like YouTube and SoundCloud. Fans were immediately consuming the book and producing creative responses of their own. The fandom is bursting with this kind of creativity and absorption. From cosplayers to podcasters, fan fiction writers to meta-bloggers, the fandom is no longer a place for mindless adoration, but a fertile ground for fans to become critical consumers of stories. No longer are books, films, and television shows a passive source of entertainment – instead, they are cultural touchstones with which fans can discuss, engage, and debunk. Balkind’s book captures this lively spirit of the internet fandom and afterwards you’ll be wanting more! Fan Phenomena: The Hunger Games is available now! One comment for "8 Reasons to Read Fan Phenomena: The Hunger Games"